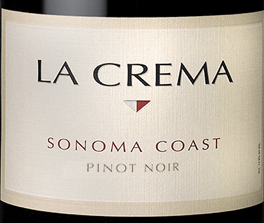 La Crema,Sonoma Coast Pinot Noir 2015, Georgia's Wine Pick. So my wine pick comes from sunny California, which is where we were around this time a couple of years ago,in Sonoma County. 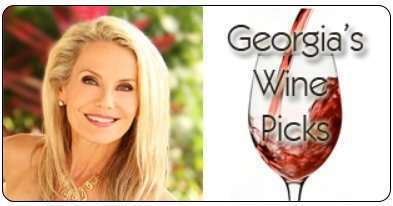 Listen to Georgia’s wine review at 4:47 minutes in the show. 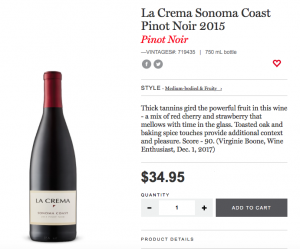 https://www.thewineladies.com/wp-content/uploads/2018/04/La-Crema-Sonoma-Coast-Pinot-Noir-2015.png 223 264 Susanne Seelig-Mense https://www.thewineladies.com/wp-content/uploads/2017/08/WineLadiesLogoTransparent.png Susanne Seelig-Mense2018-04-30 11:09:162018-05-02 18:41:06La Crema,Sonoma Coast Pinot Noir 2015, Georgia's Wine Pick.